Did you know that speed reading reduces the three biggest reading errors most people make? Our reading expert, Abby Marks Beale, wants to show you how to improve your comprehension and memory of what you read and offers these tips from her Princeton Language Institute book, 10 Days to Faster Reading, to help you eliminate bad reading habits that may be slowing you down. There is good news and bad news. The bad news is you can’t break all bad habits completely BUT you can reduce them dramatically. The good news is that becoming aware of them will help you know when you have to do something different to avoid the habit. Mind wandering is also known as daydreaming. All readers do it but skilled speed readers do it A LOT less than unskilled slower readers. Mind wandering while reading can be very effective ONLY if you are mentally applying what you are reading to something you already know. For example, if you took a trip to Italy several years ago and you’re reading a magazine article about Italian art preservation activities, your mind most likely wanders to your trip. You mentally relate what you personally experienced with the information presented in the article. This is what I call “active” mind wandering because this is how you learn. You build bridges of knowledge from what you know to the new material on the page. Consider a concept I like to call “brain glue”. Everything you have learned and experienced in your life is your brain glue. When you stretch it and stick new information to it, then you are active and engaged. If you wallow in it without stretching or adding to it, then you are passive and disengaged. “Passive” mind wandering is thinking about a million other unrelated tasks or plans, such as remembering to make a vet appointment, or thinking about an upcoming party, or thinking about ________________. You fill in the blank! Too much passive mind wandering slows you down, prevents you from getting better comprehension skills and wastes your time. If you want to get better concentration , increased comprehension and improved retention, learn some simple speed reading strategies and naturally reduce your passive mind wandering. Regression is a flick of your eyes back to a word or words previously read. For example, if you have ever arrived at the bottom of a page wondering what you just read, you are forced to regress to the top. Many people unconsciously and habitually flick their eyes backward as they read forward on the same line of text. If you frequently get sleepy while reading, even while sitting upright at a desk or table, chances are your eyes are regressing a lot. As with mind wandering, there is active and passive regression. Active regression is intentionally going back looking for what you missed. You are reading consciously but you don’t quite get the author’s meaning. Sometimes, for example, you need to go back when you come across a word you don’t know. You go back with a purpose in mind. Passive regression is when you go back and reread words or passages because your mind is wandering or your concentration is off. Many people simply do not trust their brain when reading. This insecurity creates a situation ripe for passive regression. They feel they have to double back while reading to make sure they understand the content. It’s similar to watching a movie. Most times you hear everything said but sometimes you miss its meaning or you thought you heard incorrectly. If you are watching at home on your DVD or DVR, you take the remote and rewind (regress) to hear it again. If you are in a movie theater, you cannot rewind the film. You have to trust that either you heard correctly or that you’ll figure it out from the rest of the movie’s context (and you usually do). Learning speed reading will naturally discourage this bad habit because it’s hard to go backwards when you are moving forward faster! Subvocalization means mentally whispering every word (in your head) OR you are physically moving your lips while reading. It is also considered word-for-word reading. It results in a slow reading rate of under 200 words per minute. There are some occasions when this talking is appropriate and necessary. For example, sometimes when you are studying or memorizing material, you need to hear yourself repeat the information. When you read poetry or dialogue, such as from a play, you need to hear the rhythm and intonation to truly appreciate these forms of writing. Students tell me that reading the Bible or Shakespeare is challenging without mentally talking. As far as your brain is concerned, it finds it as challenging as trying to read a foreign language. I also suggest reading the fine print of legal and insurance documents word-for-word unless you are a lawyer or insurance agent who is familiar with the jargon. Though you may have a good reason to subvocalize, remember that it slows you down. Keep this in mind when you plan your reading time. So, unless you’re reading Hamlet or memorizing poetry, the talking is unnecessary and will slow you down. Remember you cannot get rid of this voice, only reduce it. Again, by learning speed reading strategies, which increases your reading speed, you are less likely to focus on every word, which reduces your mental talking naturally! Excerpted and adapted from Chapter 2 “10 Days to Faster Reading” ebook by Abby Marks Beale. 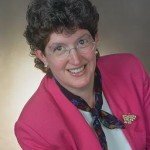 Abby Marks Beale delivers popular and effective training to a wide variety of clients including Fortune 500 companies, small businesses, government agencies, associations, universities and schools. She incorporates accelerated and adult learning principles that make it easy to learn. Abby is the author of 10 Days to Faster Reading and the creator of Rev It Up Reading: Getting Up To Speed With What You Read, the online speed reading course that allows you to learn at your own pace, 24/7, right at your home or office.